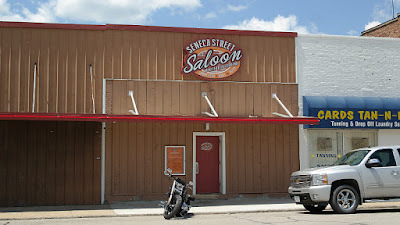 Seneca Street Saloon and Pizza is a block off the main commercial street in Webster City and their menu is posted in front of the door. 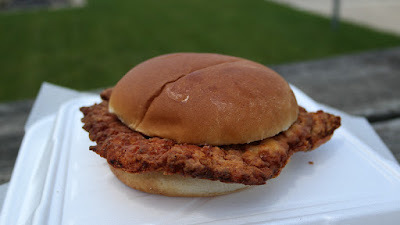 It lists a hand breaded tenderloin for $4.25 so I had to stop in and check it out for myself. A local newspaper claims this is the first sports bar in Webster City, and they sell a lot of pizza here. 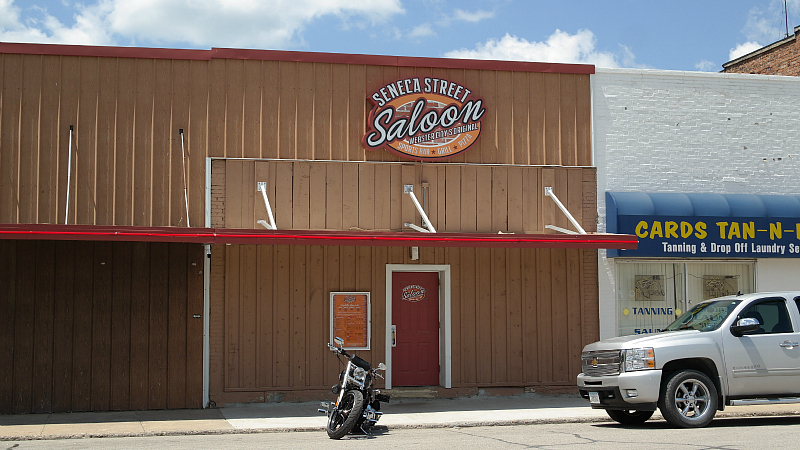 Location: 919 Seneca St in Webster City, in North Central Iowa. 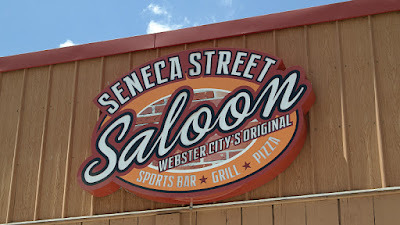 Directions: The main turnoff for Webster City from Highway 20 takes you up Superior St and if you turn after the park you will be a block away from Seneca St Saloon. 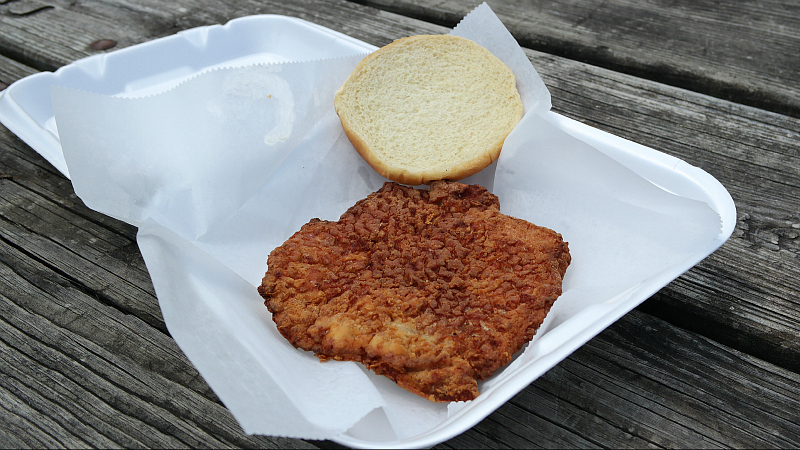 The Tenderloin:The breading had some crackermeal that seemed to get a little toasty during its time in the fryer. Part of the meat was juicy, part was on the dry side. This was about average for a bar food tenderloin in small town Iowa. Served on a warm bun with your choice of fixins. Overall 7.0 out of ten. Price: $4.25 dining in or $4.75 for take out. Also on the menu: they have bar food appetizers and sandwiches and the specialty is homemade pizza. Service: I just got takeout from the bar, but they will deliver in Webster City. Ambiance: There was a lot of wood paneling and an old bar. Beer signs and sports stuff covers the walls. 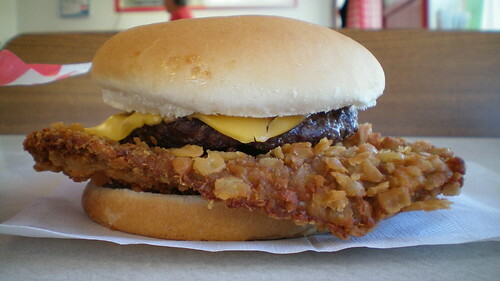 Final Thoughts: I have been through Webster City plenty of times and never found a good tenderloin. 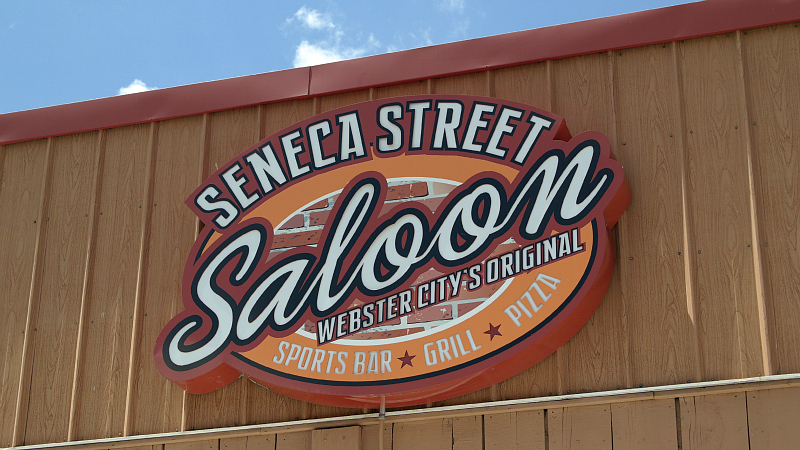 Its a good drive from here to find a better one than at Seneca Street Saloon.